Robert Redford recently announced that The Old Man and the Gun would be his last acting role, and while it remains to be seen if he sticks to his retirement plan, he can be happy in the knowledge that his final movie is one entertaining crime caper. I love a journalism drama and two come along within the space of a couple of months – Spotlight and now Truth. Good news is that they are both brilliant, but I’m totally biased as a journalist myself. I have not been able to stop talking about Truth since I saw it and I have just ordered the book it’s based on – not many films can inspire me to do that. 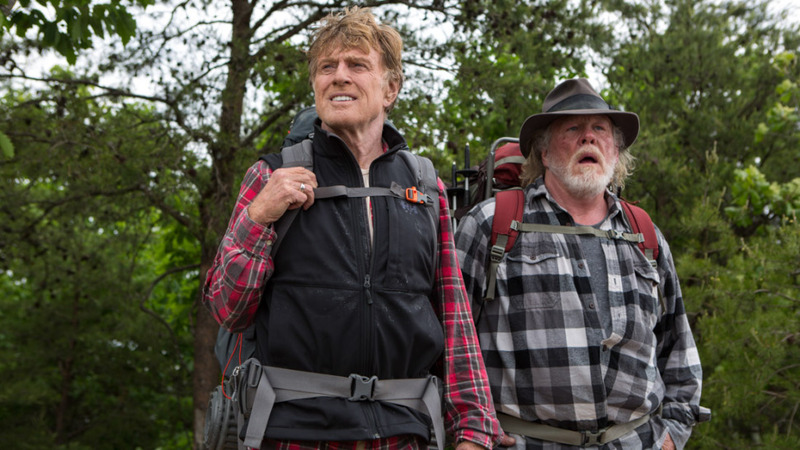 I know very little about Bill Bryson so I expected A Walk in the Woods to be some journey of self-discovery like Wild or Into the Wild, where someone takes on a ridiculous hiking challenge and becomes a better person because of it. However, this is totally different – it is more of a buddy comedy and that makes it both exciting and refreshing.